In the present age of digital formats, which make our life easy, there are options for everything. And we are still at a start of evolution which is looking to change and improve the publishing scene. Publishing eBooks has changed immensely in the last decade or so. It has grown away from the traditional publishing. In every aspect of working. Be it the loading of the books, viewing them, buying them and reading them. Our digital habits have changed. You can now, bring about millions of book titles to anywhere you want. What’s more, you don’t even have to carry them. Within this revolution, one thing we have is a lot of formats to deal with. One of the popular eBook formats in the world is Rich Text Format. Rich Text Format, which is often called as RTF, came out in the late 1980’s. You could see that hundreds of company were lapping up technology to bring the next big change. None more than the area of publishing. New formats came by the day. You had every company trying to win readers all over the globe. Some outputs of this competition were the ever famous Word Document, Portable Document Format (PDF), and web specific HTML files. In this race to the top, Rich Text format was one of the biggest players. It came out as a proprietary document file format. And more especially from the house of Microsoft Corporation. We can safely say that most of the eBook readers that came out in the early 90’s supported RTF files. You could use almost any eBook reader, and open up Rich Text Format files. Hence, simply put, the format was a cross-platform one, which could use with any product. Having said that, Rich text became a something truly associated with Microsoft products. After all, the format was brought out with the intention of making a worthy cross-platform format. One which you could open on any machine or reader with simple tweaks. Rich Text format found glory in its support until the year 2008. Of course, there are different types of Rich Text format in the market. Each form directs to a particular device or operating system. Also, you needed to check which file is perfect for the format, and what the internal code is, to tweak it to perfection. Usually, Rich text format came bundled within MS Office releases. Additionally, the format also comes with a single download of MS-Word. Many of us confuse Rich text format with formats like enriched text like RFC 1341 or IBM’s own, RFT-DCA. Keep in mind; all these formats are completely different. And apparently, cater to diverse needs about new ideas in eBook reading. Rich text format was brought into the market, by Richard Brodie, Charles Simonyi, and David Luebbert, members of the Microsoft Word development team. Initially, they were thinking to bring out the format in the early 1980’s. However, due to lack of coding support at that point in time, you could eventually see it in late 1980’s. The syntax within which this was designed for Tex, really which now is a major part fo digital Latex. With Latex, you can easily apply Typesetting formats to all your digital needs. This went on to improve or rather quicken the process of publishing like never before. Coming to Rich Text format, the RTF initially came out with its writer and reader. Microsoft came out to ship, RTF exclusive reader or writer in the year 1987, as a part of Microsoft Word 3.0. Ironically, this version of Microsoft Word was not for other systems, but for Apple’s Macintosh powered systems. The format came out with Rich Text format 1.0, specification. Thus, this started a decent collaboration with Apple and Microsoft. All the later releases of Microsoft Word made for Macintosh, could read and write text files made in Rich Text Format files. Thus, the format became a worldwide standard for text matters. In addition to the above, do you remember the Help features you got in Word ( You still get them, but we are referring to the Office 2007 version)? Most of these were made in RTF format. Till date, Microsoft maintains the Rich Text format. However, in a strange thing, you can see that if you save texts in Word 2010 and later versions in RTF formats, the file may not save correctly. You will find the text file looks nothing like the one you were editing and went on to save. This is because Microsoft stopped supporting RTF over the years. You even had an announcement from Microsoft that it won’t be supporting the file format after 2010. However, the company did slightly come around when it said that it would provide minor modifications to Rich text format files and ensure they worked properly. You can now see that most of the new versions and updates of MS Office, use a much better way of saving RTF files. You can now see that most of the new versions and updates of MS Office, use a much better way of saving RTF files. After all, after PDF and Doc, Rich Text Format was at one point the most popular text formats. You had multiple machines using it, for encoding computer languages and software programs. RTF was the go-to format to develop coding files to be used in further programming languages like C++, Java, Oracle and DBMS systems. Now that we have a fair idea as to what a Rich Text Format, we need to know how relevant it is in the present age of digital publishing. After all, we are at a time where new formats come out every day. Therefore, do we still need RTF to work for us? For answering this thought, we will have to take a small look back at its capacities. When we know what it is capable of doing, we’ll get a better idea as to using it. Rich Text Format (RTF) is a file format that lets you exchange text files between different word processors in different operating systems. For example, you can create a file using Microsoft Word in Windows 98, save it as an RTF file (it will have a “.rtf” file name suffix), and send it to someone who uses WordPerfect 6.0 on Windows 3.1 and they will be able to open the file and read it. In some cases, the RTF capability may be built into the word processor. In others, a separate reader or writer may be required. The RTF Specification uses the ANSI, PC-8, Macintosh, and IBM PC character sets. It defines control words and symbols that serve as “common denominator” formatting commands. This means that when you are saving a file in the Rich Text Format, the file is processed by an RTF writer. The Rich Text format writer then converts your file, which is in word processor’s markup format, to an RTF language. When you take up reading a Rich text format file, you can process the control works and symbols by the RTF reader. The reader converts the RTF language into formatting for the word processor which will then the document. A specification of the copy of archives located in World web consortium brings out tools to create RTF readers and also writers. Although many eBook users have now moved to better eBook formats like ePub, Mobi, and CBR, we still have some things which only a Rich text format allows you to do. Some specific needs which RTF files cater to. Of course, there are better formats which are doing almost anything that a publishing company requires from them, RTF isn’t yet a spent force. You can still use this format for the following reasons. With Rich text format file, you get the ability to read the file in any reader possible. You do not have to worry about the platform, system or word processor you have with you. This is a great feature when you look at the way how new formats work. At present what you can read in eBook readers like Sigil, Amazon Kindle or Moon reader, is something you cannot read in any other. Of course, there are eBook conversion tools like Calibre or Scrivener, but nothing comes close to the way an RTF behaves. To this day, Rich text format remains the most compatible file format in the last decade. Rich Text Files files, unlike Word Doc files, cannot contain the numerous “macro” and other viruses that usually you can get with Microsoft Word documents. As a result, most of the viruses may be carried by Word Doc files. Presently, many businesses and other e-mail servers refuse to accept e-mailed “attachments” which are in Doc format. However, they will accept the same document in RTF, since the RTF file cannot transmit viruses. This security against the risk of virus infection applies regardless of whether your document would be conveyed via diskette, e-mail attachment, or as an archived web file. When your projects have only the text and not any high-end graphics, clip arts or anything, you can find that saving in RTF format will save you a greater space. Again, you have just the text materials within. We mean that complicated eBook or eText formats may not be a great option to put in within Rich Text format. This allows you to upload, save, transfer, and send files with much ease, as the files will be in text format. This can be a considerable level of advantage to transfer via limited net speeds. E-mail transmission times would be quicker, and one would have greater disk storage capacity due to the smaller file sizes. Conversely, if your document contains graphics, audio files, media files, etc., then a Rich Text Format version may get a bit larger than the DOC version. This is because RTF files would have to convert highly-complex graphics information into RTF format. This process would involve a considerable amount of coding instruction. Which in turn makes the whole file more in size and difficult to process. Hence, Rich text format is adaptable and offers many options for saving text content. With RTF format, you have multiple options to save text and also other inputs in customization formats. However, with different readers available in the market, it becomes difficult to cater to just one. Of course, most of the readers support the rich text format, but sometimes the size becomes an issue. For example, if you have high-end graphics, or you are dealing with enhanced eBooks, you will have to save RTF as a larger size. Hence, you may have to convert RTF to other formats. Let’s look at how you can convert this format to other popular formats easily. However, you may find that the conversion may result in a slight loss of text, alignment, make and structure. 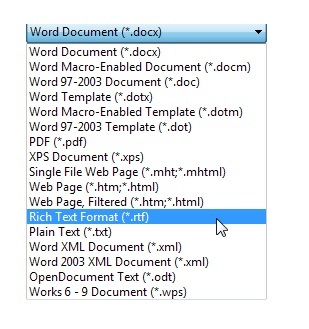 The easiest way of converting Rich Text format to Microsoft Word doc format is to use MS Word to do so. As simple as that. Even easier, is that you don’t have to do some complex methods. You just have to save the file as Doc at the ‘Save As’ window. Open the MS Word, and click on the open file. 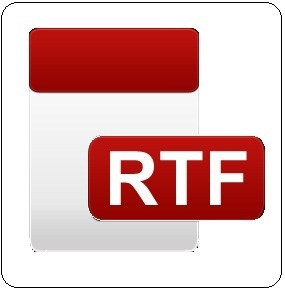 In the browser window, try locating the RTF file you have on your directory. As it loads, go back to menu options. This time you have to select the Save As an option, which will allow you to complete the conversion. Within Save, As an option, you just have to select save as RTF format in the drop down menu. When you don’t see it, you just have to pick 97 to 2003 format, which will automatically save the file as Rich Text format eventually. However, in case you do not have the MS Word tool, you can use the online tools to do so. Online eText format converters like Zamzar conversion window or Online Document tool. 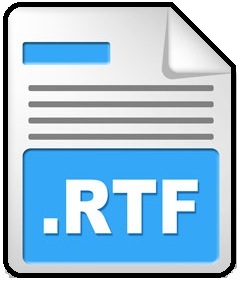 In present times, you may also use Google Docs to save the document in RTF format online. The process is simple and is same as the one mentioned in MS Word. With so many online tools available for free which do the work, it’s easier to use them to convert. Of course, there may be some issues, regarding privacy, or control, but the tools do get the job done quickly. For their efficiency, and quick conversion tasks, you can use online tools. The most notable tools you can use are Zamzar, OnlineUtils, Convert2PDF sites which are easy to use. The process is simple. You have to visit their respective sites, click on the input window (some sites support drag and drop feature as well). Once you have the file ready, you just need to select the output from the drop down options. And click on convert. Within moments, you will get the file converted, in our case PDF, which you can download into your system. Alternatively, you can also get it delivered to your email which will be done easily when you register your email ID to the site. Either way, you are getting the work done in a simple manner. When it comes to converting RTF to HTML, the process is almost negligible. This is because you can see that Rich text format is based on HTML coding itself. After all, both are text markup languages and formats. You can convert the two formats interchangeably by using, online converter tools. 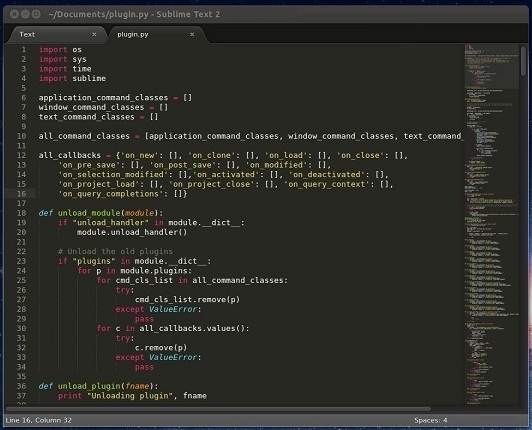 However, apart from the usual tools which we saw earlier, you can also use ASP coding to get the thing done. However, if you are looking for a separate website which converts without using coding, then you have them as well. You can use the sites such as RTFtoXML, Convertio, ConvertFiles, etc. Having said this, you will need to observe that most of the times, the output may not come out as you expect. Most of these online tools, just plainly convert the text. However, you will see that they have trouble converting the media files or image files into different formats. Of the many eBook formats available in the market today, you can safely say that RTF is one of the easiest to use. Of course, the file gives you all the freedom to type, text and tweak the content within itself. RTF, of course, comes out in an accessible format to deal with, parallel to its peers like TXT, Doc, etc. Also, the added advantage of usability in various formats easily is something you can work with. Despite the above advantages, the basic level of coding which you have within Rich Text format may end up confusing you. You may lose out on the total control of the file, when you are edit, sharing or otherwise converting the file. This is a situation where you will have to turn to a professional eBook publishing service. We are a world renowned eText services companies, who specialize is encoding and conversion facilities. If you are a publisher or a self-publishing author, you just have to hire us to take care of your needs. And we promise to bring your work out in the best way possible. PreviousPrevious post:Voice Dream Reader – The Latest Text To Speech Revolution In eBooksNextNext post:Lucifox Reading Extensions And How Browsers Are The Next eBook Readers..!